The Plumbing-less Inground Lawn Sprinkler! Using our lawn sprinkler removes the tedious, repetitive task of placing and aiming the sprinkler, greatly reducing the time and effort you put into watering your lawn. The DIY lawn sprinkler system that works with your garden hose. 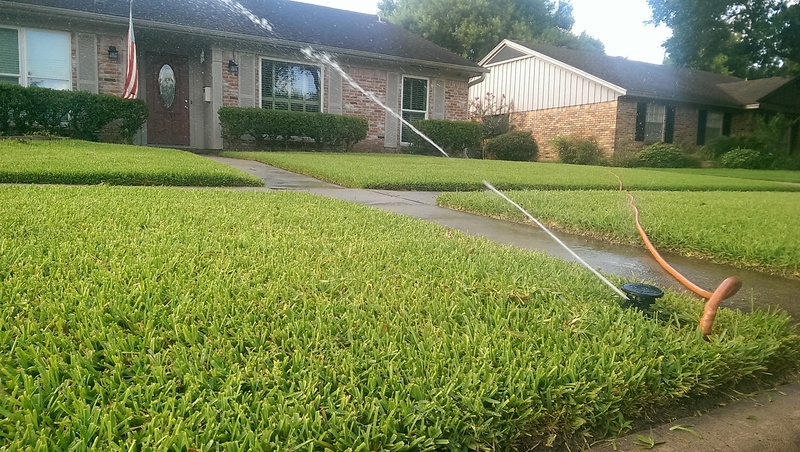 There are no long pipes or trenches for this permanent lawn sprinkler. A Watering Made Easy Sprinkler Station stays aimed, and hides underground below the mower between waterings. The underground sprinkler system is easy to install. Install in three easy steps.